If you have a huge TBR — and be honest, who doesn't — then you should definitely consider joining. I'm aiming to read 15 books not published in 2015, reaching the goal Wrecked It. I've been meaning to read the unabridged version of Hamlet FOREVER. Because it's pure awesome. To Kill a Mockingbird and The Great Gatsby are mother-approved books, i.e. my mother saw it won prizes and gave it to a clueless kid who didn't properly understand modern classics. The Eye of the World was because I heard it was similar to A Song of Ice and Fire, one of my all-time favs. Mythology is a nonfiction book about, um, mythology that was a gift. The other four, The Lost Library, The Keystone, Diamond Queen and Factory Girls are all books that were donated to a charity I volunteered at but couldn't be given away to the intended parties because the stores ripped the covers off avoid reselling. Much mandatory sobbing at book defacing. These are from top to bottom The Winner's Curse, Station Eleven, Brazen, and The Archived. If I read all of that, I'll only be two books away from my goal! Luckily, I have a hefty Goodreads TBR. Any of these books you've read or are on your TBR? How huge is your TBR? Share with us in the comments, and if you've linked up, do leave a link so I can check you out! Need to clear your TBR? Join @sisterofsilence in the TBR Smash Challenge. This looks very interesting, I have a huge TBR and I think it's a great idea! Well, if you have time, I'd love it if you joined in! TBR clearing is fun but very difficult. Thanks for reading! I have heard some AMAZING things about Station Eleven, so I hope you do a review on that one. =D Also, YOU HAVE THE EYE OF THE WORLD ON YOUR TBR - me too! (That would qualify for Fantasy Challenge, if you're taking part.) I'm pretty sure I have a bunch of the Wheel Of Time books from my Super Haul last year, but there's something crazy like 12 books in the series. 12 very fat books. O_O I want to read them all! The Lost Library is actually about The Library of Alexandria, so that is just SO DAMN COOL. I am already very sure I'll love it. I'm desperately hoping the Eye of the World will be as good as ASOIAF and LOTR - I've heard so many comparisons to them. I've already read Station Eleven, and I'm probably going to review it, yes, on Literoses. Well, the TBR Smash Challenge sounds like the perfect thing for all the overwhelmed bookworms on the internet, haha! You've got a pretty good-looking stack here, and I hope you LOVE The Archived! I just recently reread it so I could read the sequel, The Unbound, and I've loved it both times I read it. SO GOOD and such an utterly unique premise! Good luck with the challenge, Alyssa! Yep, I've already cleared one book off the TBR. I have very high hopes for The Archived (and that premise! 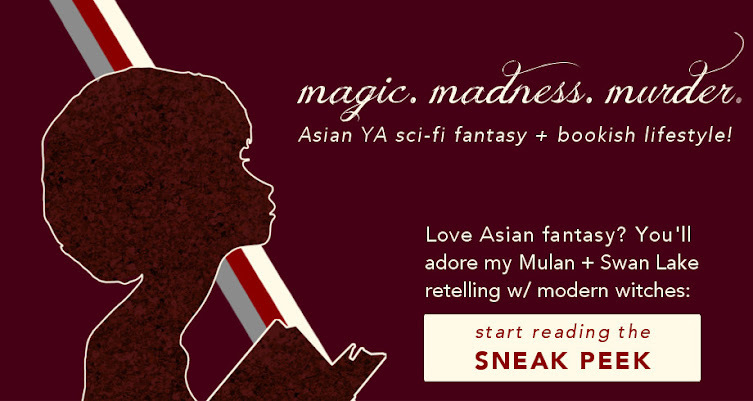 ), and I'm definitely going to pick up A Darker Shade of Magic - by the same author - when it releases this year. Thanks! You are going to fall in love with To Kill a Mockingbird. Ever since reading that book, my motto at all times is basically along the lines of "what would Atticus do?". ;) Also, Hamlet is deliciously creepy - one of my favourite Shakespeare plays, after Twelfth Night and A Midsummer's Night Dream! I certainly hope so! I tried to read it once when I was twelve-ish, but couldn't really get into it. So hopefully I'll have better luck this round. And Hamlet! It's like my favourite Shakespeare play - except that I still haven't read the unabridged version argh. Mmm, I totally understand. It's my first new year that I saw so many challenges, and I just couldn't resist signing up for a few. Thanks muchly for the luck, Topaz! To Kill a Mockingbird and The Great Gatsby are some of my favourites! My TBR is pilling up as well. The Maze Runner is at the top of my TBR, I've been meaning to for ages now. Somehow other books keep coming up. Ooh, really? Hope I enjoy them too, then! The Maze Runner definitely deserves a read; very fast-paced and thrilling, if a little lacking in some side characters. But excellent world-building. I also joined the challenge! Good luck! Thank you so much, same to you!